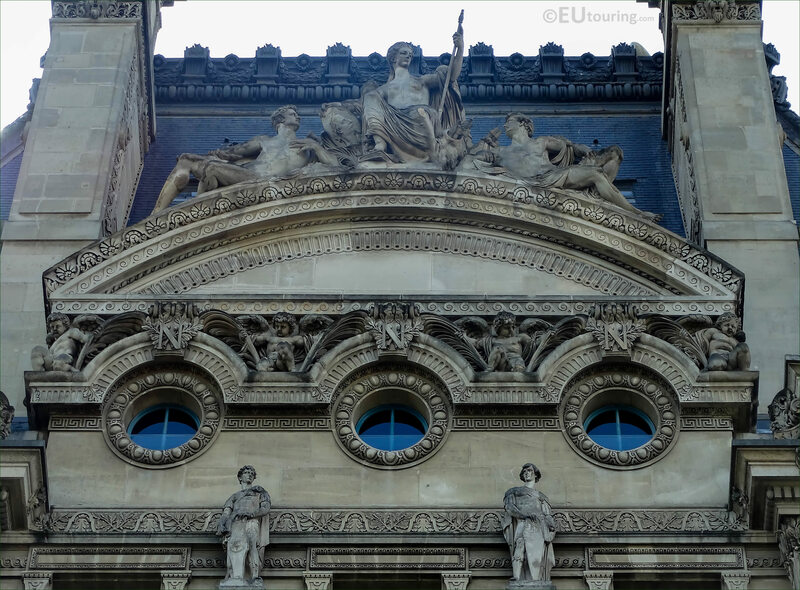 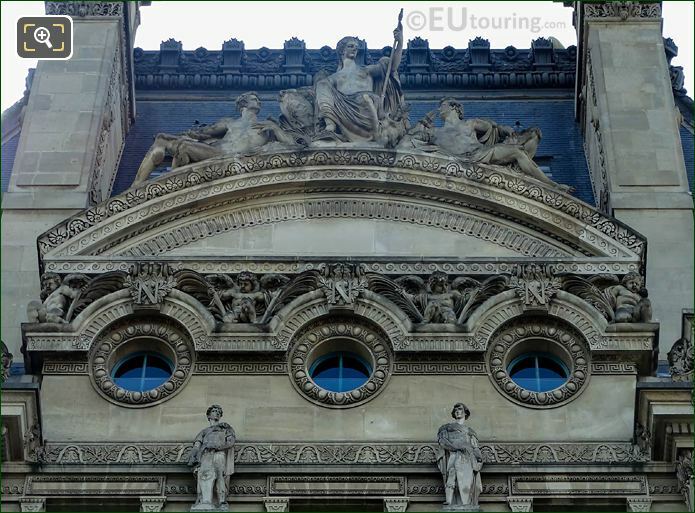 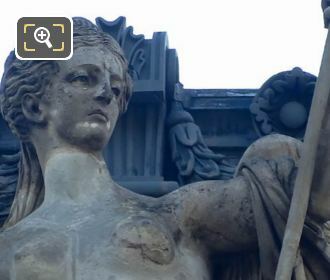 Again we were in the 1st Arrondissement of Paris at the Musee du Louvre, when we took these high definition photos showing a pediment statue group that was produced by Jules Cavelier. 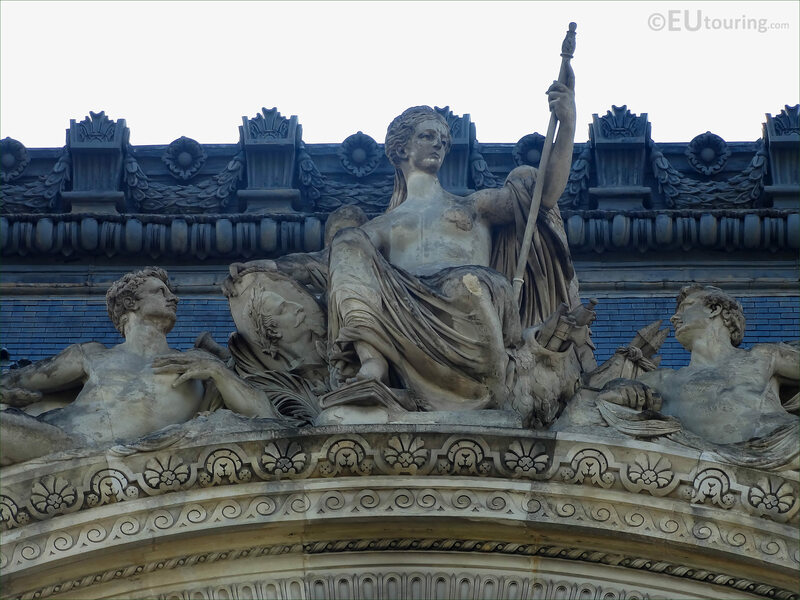 Known as a Fronton on French, this translates to Pediment in English, and virtually every statue or sculpture that adorns the former Palais du Louvre has been designed to represent something, but unfortunately we have been unable to find out the name of this particular allegorical statue group. 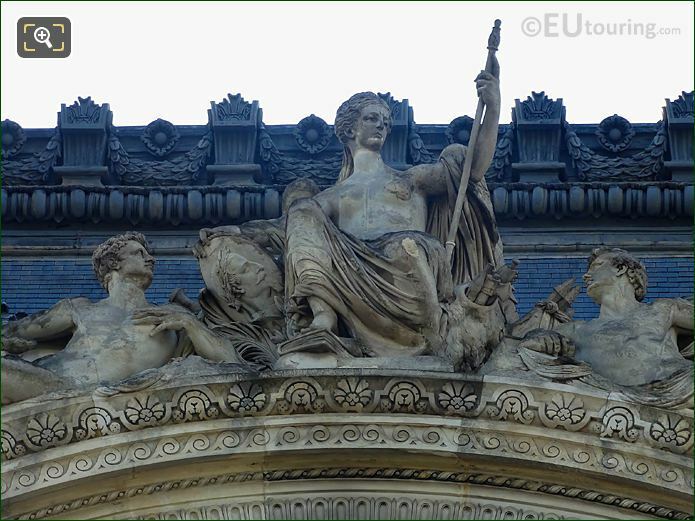 But here you can see a close up of the female central figure of this statue group pediment, which was sculpted by Pierre Jules Cavelier, who was born in 1814 and studies under David d'Angers to become a French sculptor. 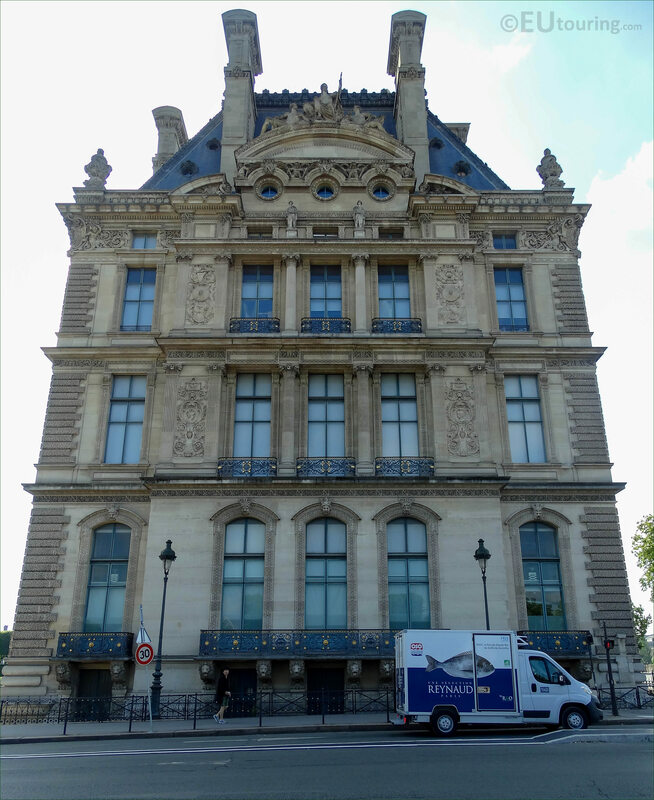 Yet known just as Jules Cavelier, he also studied painting as well, although he won the Prix de Rome for sculpture, which meant he could further his studies at the Villa Medici in Italy for four years, prior to returning to Paris. 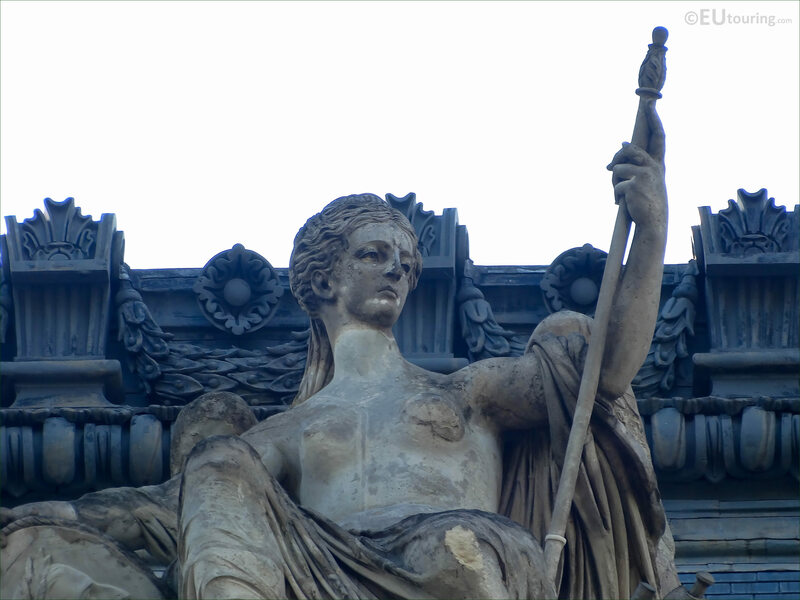 Jules Cavelier ended up receiving many public commissions including some of the statues for the Gare du Nord train station, plus this statue group for The Louvre, where you can see a male figure either side looking up at the female allegory, although he also produced numerous busts of famous people, some of which are now located at the Chateau de Versailles. 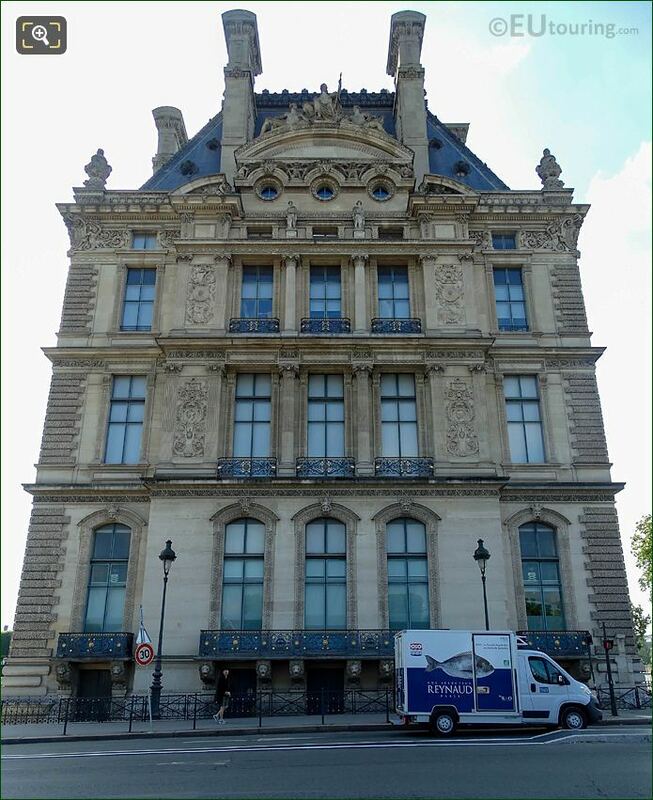 However, here you can see the entire facade of the Pavillon de Flore, which is actually the western side, and this can be seen from Terrasse du Bord de l'Eau within the Jardin des Tuileries, or from the Avenue du General Lemonnier, next to the courtyard called the Cour du Carrousel, which is where we were when we took this photo.